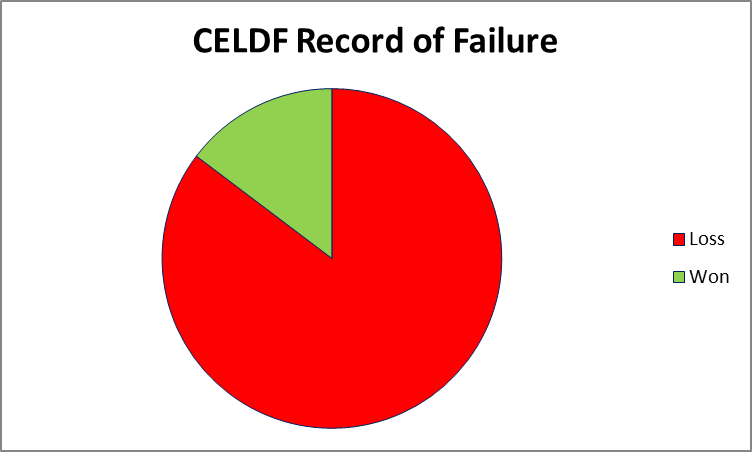 For the past few years, we have watched the Community Environmental Legal Defense Fund (CELDF) and other “Keep It In the Ground” (KIITG) activists employ bait-and-switch tactics to try (unsuccessfully) to stop pipeline development and ban fracking. After epic failures across the state, fringe environmental activists have turned to launching fake landowner coalitions in a new attempt to mislead the public, with a prime example being the Tri-County Landowners Coalition. So who’s behind the fake Tri-County Landowners Coalition? Launched by Frack Free Ohio activist Bill Baker, the so-called Tri-County Landowners Coalition“represents” three Ohio counties — Richland, Ashland, and Holmes — and includes, Hayesville Community on Fracked Gas (HCFG), Clear Fork Landowners Group (CFLG), Advocates for Local Land (ALL), and the Monroe Township Landowners Coalition (MTLC). It’s been a while since we’ve heard from Baker and Frack Free Ohio, but he is no stranger to pushing anti-fracking activities in Ohio. Recall that Baker was behind a Community Bill of Rightseffort in 2013 in Richland County, as well. Five years later, Baker is now attempting to launch this fake coalition, backed by what appears to be about five people, including Elaine Tanner, program director for the nonprofit Friends For Environmental Justice (FFEJ). Tanner recently claimed she has been “a lifelong resident” of Ohio, yet as recently as September 2015, she was identified as part of the Kentuckians for the Commonwealth (KFTC), in that case fighting the coal industry, and was quoted as being a resident of Letcher County, Ky.
“Our lives in Appalachia are being shortened,” pointed out Elaine Tanner of Letcher County (Kentucky), noting the ‘unimaginable damage to our environment’ coal companies are leaving behind and the ‘legacy pollution we face in our future.’ She said that coal companies should be held accountable for this damage. (emphasis added). A recently staged press conference was clearly coordinated by OccupyEarth USA, as the event was filmed and posted to their YouTube page immediately after its conclusion. OccupyEarthUSA, in conjunction with United Citizen Action Network (UCAN), also enlisted Baker’s help to raise money to launch the epic failure of the Ohio #NODAPL copycat camp last year to stop leasing of federal minerals in Ohio’s Wayne National Forest. For the record, the website for UCAN Ohio no longer exists, nor do the bogus copycat camps. So why the landowner angle these days? There is no legitimate “movement” in Ohio to ban fracking. Ohio anti-fracking activists are few and far between, as we have routinely highlighted. There is no “movement” to ban fracking, as Ohio communities have overwhelmingly rejected efforts to do so. Recall that last year national anti-fracking groups spent weeks advertising the “three massive rallies against fracking” in Cleveland, Columbus and Marietta. But EID was on the ground in all three locations and can confirm the entire “Ohio-wide” effort garnered a total of just 47 protesters, despite being hosted by major national KIITG groups such as 350.org, Sierra Club, Earthworks, Food & Water Watch, Friends for Environmental Justice, Foundation for Economic Democracy and Appalachia Resist!. Such is the case today, as this fake “landowner” coalition gives the appearance of a groundswell of anti-fracking sentiment, however, in reality they are merely a well-coordinated handful of anti-fracking activists who are simply receiving headlines without any legitimate support for their cause. Ohio’s environment is improving from natural gas production and consumption — not the other way around. The economic benefits are undeniable. Shale development—made possible from fracking—has led to over $63 billion spent in Ohio. The natural gas and oil industry has supported, and continues to support, hundreds of thousands of jobs, and billions in wages in the Buckeye State. According to the Ohio Department of Jobs and Family Services, core shale-related employment increased 171 percent from 2011 to 2017. That’s enormous when you consider all other Ohio industries only gained an 8 percent employment increase over the same period of time. What’s more is that shale jobs pay twice as much as any other industry in Ohio. Event after poorly-attended Ohio anti-fracking event shows that KIITG organizers simply cannot bring out supporters to their cause in the Buckeye State, so it shouldn’t be surprising that they are now trying to use fake landowner groups to push their misinformation campaigns. But as NARO correctly points out, these fake groups have no real intention to help landowners navigate leasing questions. They want to ban all oil and gas development, period. Here’s a tip for the landowners in the Buckeye State: buyers beware!